Is Ocala's water safe to drink? You turn on your faucet and crystal clear water flows freely from it’s home (groundwater from the Floridan Aquifer) to its final destination: your shower, sink or drinking glass. But, before it makes it that far, it goes through a rigorous and well-regulated, multi-step process to assure that the water you’re drinking is truly as clean and pure as it appears. Jeff Halcomb has been the director of the Water and Sewer Department for the City of Ocala since 2008. He explains that our drinking water in Marion County is all groundwater from the Floridan Aquifer. The City of Ocala has five primary wells that go down approximately 250 feet into the upper aquifer, with only two or three used in any one day. When the water, known as “raw water,” is pumped, it goes to the lime softening plant. Jeff explains that lime kills any bacteria found in the raw water. It also coats the pipes the water runs through, which helps deter corrosion that can happen over time, and helps soften the water. Once the water is softened, it goes through a filtering system to remove any floating particles, then makes its way to storage tanks where it is treated with chlorine, which acts as a disinfectant. The final step, which is one that some people may find controversial, is a fluoride treatment. “You can read online forever about the pros and cons of fluoride treatments,” says Jeff. “But fluoride is found to be one of the top 10 accomplishments of mankind according to the CDC,” he says. He notes that in some parts of the world, the water is full of fluoride, which isn’t healthy, but in Florida, that isn’t an issue. Fluoride is used in items such as toothpaste and mouthwashes to help prevent tooth decay. 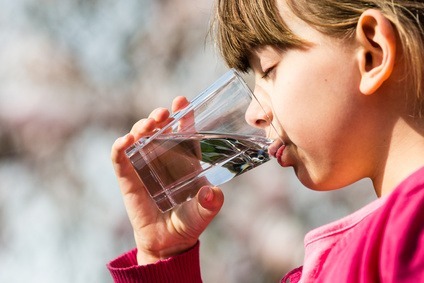 The fluoridation of water is the controlled addition of fluoride to public water and can also reduce tooth decay. Citizens can always access the water reports for any county, online. The Marion County water report can be read here.